Get the recipe to employee recognition success! A recognition pyramid is just one of the elements of a successful employee recognition program. Download our eBook for more insight and guidance from Debra. I’d just finished one of “those weeks.” You know the kind, too much to do and too little time to do it in. And in the middle of it, my colleague Charlie asked me to jump in to deliver a webinar. There was no way I could say no to her - partly because I love doing webinars, and partly because I knew how important it was to her, to my company and to the audience joining in. So, I rolled up my sleeves and I just got on and did it! How do you think this made me feel? In one word, borrowing from Charlie, awesome! This one little note put a smile on my face for the remainder of the day if not longer. So why am I telling you this story? It’s not to show off, because frankly I know I still have a long way to go to be awesome, but it’s to share the feeling – the feeling I had when I received the eCard. There’s something about receiving the notification that you’ve received one, opening it to read the lovely words, and then checking the social recognition wall from time to time to see how others have jumped in to comment on the recognition message. Nothing, and I mean nothing, delivers that same feeling! And it’s for this reason that my “go to” peer-to-peer recognition tool has got to be eCards. 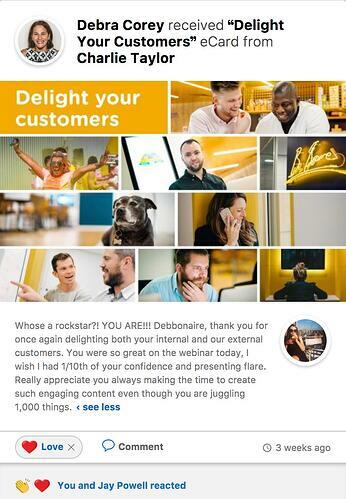 They not only deliver the feeling I just mentioned, but they also bring together the power of pairing real-time recognition with real-time communications to help build strong and solid employee relationships. Case in point, I’d do absolutely anything for Charlie, and I know, she’d do the same for me! eCards are convenient, customizable and provide an opportunity to not just connect your workforce to each other, but to your purpose, mission and values. They also contribute to creating a thank you culture which is built on trust and open and honest communication, all key elements of an engaged workforce. 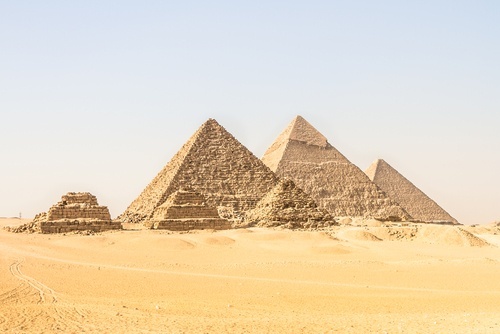 Egyptian pyramids were said to have supernatural or paranormal properties, being able to do things such as preserve food and maintain the sharpness of razor blades. 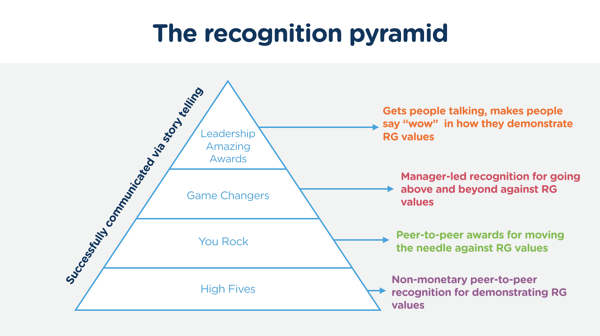 Now I’m not saying that your recognition pyramid will do this, but if done correctly it can create and maintain collaboration, engagement and ultimately, the achievement of your business objectives. We just started our employee recognition pyramid with peer-to-peer recognition, and I usually recommend it as a good stepping stone for your employee recognition strategy, for it is an easy “win-win” for the people and the business to drive values-based behavior that makes people feel great about the work they’re doing. How you build your recognition pyramid is up to you. You can build it having one level, three, five, even more than that! But what’s important to keep in mind is how all these layers fit together to help you build the right kind of recognition culture for your business. Bottom: This is the widest part of the pyramid, which means that it’s designed to touch the most number of employees, and is the foundation of your recognition program. The focus here is on everyday continuous recognition done for doing a great job. As I mentioned above, eCards are a great way to do this, and are an easy stepping stone to building a culture of recognition as they’re easy-to-use, approachable and accessible across all channels to all teams in an organization. Middle: Here it starts getting a bit narrower, symbolizing how less employees would receive this type of recognition as it’s harder to reach this level of achievement. The focus is on recognizing those who have excelled, going above and beyond to get the job done. Think of it like a ladder, with employees needing to work that much harder to get to the next rung of the ladder, and then find ways to recognize them so they’ll feel appreciated for taking this extra step for the company. Top: Last but not least, this section symbolizes those who went above and beyond the most – often outside of their typical job role. Again, think of it like a ladder, but this time think of the bell at the top that you ring when you finally get to the very top. When employees put this much effort into to “ringing the bell,” it’s here that you recognize them, again, making them feel that their actions were well worth the effort. 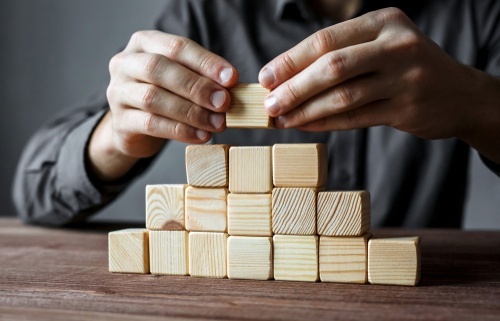 Whatever you do, remember why the blueprint for your pyramid exists in the first place, which is to design something to drive a recognition culture that will work at your company, and to deliver the feeling I mentioned at the start of this blog. If you do this I’m sure that, like the Egyptian pyramids, you’ll build something magical!